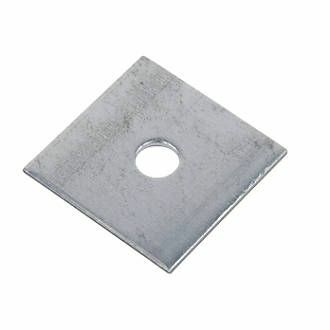 50mm Square Plate x 2mm Thick x 10mm hole - GAS IT Leisure Gas Bottles, Gas Cylincers and Gas Tanks - Catering, Motorhome, Campervan, Caravan, Farrier and Road Repair Refillable Gas Solutions. 1 offM10 Square Mild Steel Plate Galvanised 50mm X 50mm. Approximately 2mm thick with a M10 hole pre drilled in the centre. Can be used as a spreader plate or spacer.